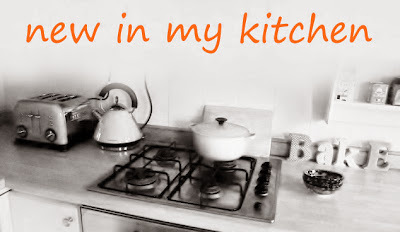 My monthly round up of what's new in my kitchen. I hope you enjoy it. Do let me know if you have made any new discoveries. Fairfield sent me some of their crisps to try. 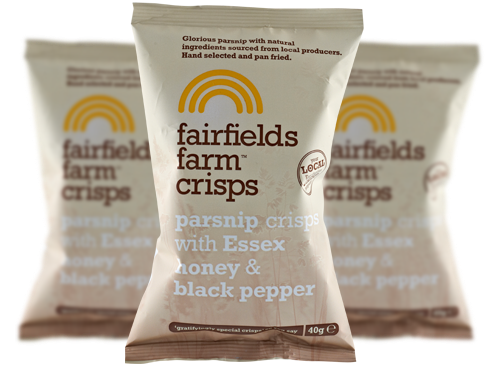 The Butter and Mint were unusual and rather addictive, but the Parsnip crisps were my favourite. A great flavour to put out in bowls for nibbling on Christmas Day. Quality crisps! 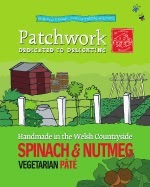 Patchwork, an independent food supplier sent me some of their veggie pâté to try. We found the Sun Dried Tomato Pâté a little bland, although it did have a good texture, but we really liked the Spinach & Nutmeg Pâté. The spinach pâté had a good flavour of nutmeg and was really creamy. Although we enjoyed it, it was rather pricey, so I am marking it down one point. I have a love affair with flavoured chocolates, just ask Hotel Chocolat. 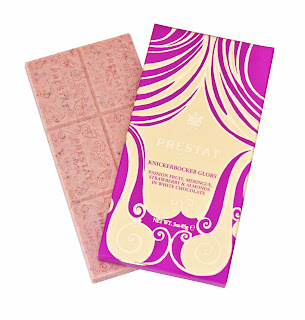 So when Prestat got in touch to see if I would like to try their chocolate, I was delighted. This little beauty got peeled from it's wrapper in an indecent amount of time. It was heavenly. Passion fruit, strawberries, meringue and almonds all mixed in with deliciously creamy white chocolate. Mmmmmmmmm! A new aldi supermarket opened near us. I've never been fond of Aldi, but this new large supermarket converted me. The fruit and veg is such good quality and a great price too. On my first shop, I picked up a pack of this lager and popped it in the fridge. I actually bought it for Graham, but I had one and realised how nice it is and then it was too easy to pop in the fridge for one another night too. It's very drinkable with a mild, smooth flavour. 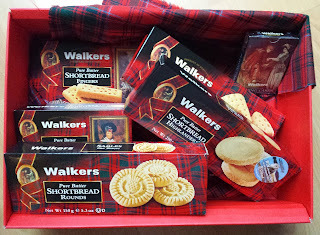 Walkers were very generous and sent me a lovely box full of shortbread, some tartan that I am sure you will see in a food photo soon and a pack of playing cards. My parents were desperate to get stuck in, but I left the tartan wrapped parcel to one side until I had a day off to take a photo. They thought I was ever so mean, but I knew if I opened it, I would come home from work to a near empty box. Photo taken, I divvied it out. Happy parents and now for some peace to enjoy my favourite, the Shortbread Highlanders. Creamy, buttery biscuits that have a snap, but are soft too, surrounded by an edge of demerara sugar. 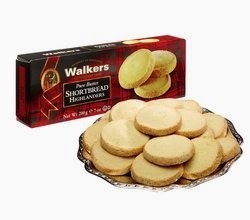 I didn't realise I groan when I eat shortbread. I'm afraid I do. Just as well I'm not a coffee drinker! Less chance of eating biscuits. I first came across Chobani Greek Yogurt at Food Blogger Connect 2013. They were one of the official sponsors and there were cabinets full of yoghurt, all over the place for us to tuck into. Unfortunately, there was so much food at the conference, I didn't get a chance to try more than their plain yoghurt. Happily, they kindly sent some out for me to try. Ugh I thought as I saw they had mostly sent my black cherry, the only yoghurt flavour I don't like, but even that was ok. 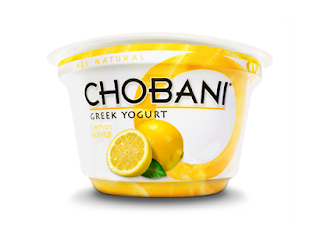 I really liked the lemon and the passionfruit. The yoghurt is all thick and creamy as it is strained, but not high in fat or calories. The lemon is 0% fat and 130 calories for quite a large pot. I am converted and I see from their website that there is a huge variety of flavours. I'll be keeping an eye out for it. I'm not one for breakfast, I know, I know. I should eat it, it's the most important meal of the day. I just can't face it. Cooper always has his porridge and to me that is the most important thing. I suppose I'm just not a morning person. Graham stepped in and tried one of the granola's (one of them had yoghurt as an ingredient). He got through the pack pretty quickly. He said it was good. Nice and crunchy and not overly sweet as some granolas are. So thumbs up from Graham & a high score. Quite a favourable bunch this month. I thought this would be a huge roundup as I hadn't posted a New in my Kitchen last month, but I didn't actually have much to share with you. Of course my shocking memory could be playing tricks on me. That is always a possibility! 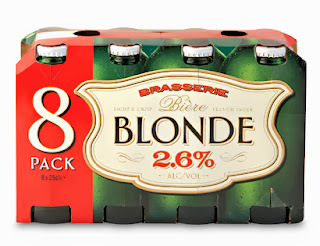 Disclosure: All of the products, except for the lager was sent for me to review. I was not expected to write a positive review and any opinions expressed are my own. Great selection there Jac. The parsnip crisps and the spinach pate sound particularly appealing and I'm also craving shortbread now, it never lasts long here so I try not to buy it too often! The crisps sound great! And the pate though not huge fan of nutmeg ... would try it anyway and see! 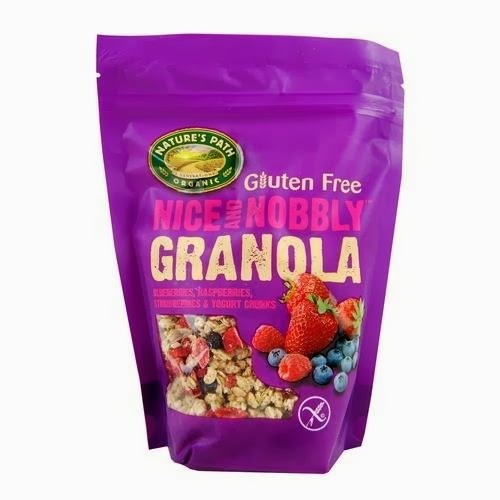 I agree on the granola from natures path I just snack on it, its delicious! The Prestat Knickerbocker Glory looks divine! 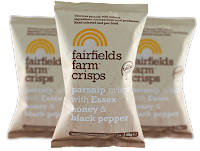 The Fairfields Farm crisps sound very good too, will have to give those a try. You and Anne are leading me into bad ways here. I don't need to get into snacking. My brain is screaming Danger!